Betrayal was the name of the game on Thursday night's Survivor: Pearl Islands. The episode ended with the Balboa tribemates giving Tijuana the boot on the eve of her birthday--but only after Sandra kept mum as the castaways accused Christa of camp sabotage, and John pulled a "fake dead grandma" scam, committing the single worst act of deception in Survivor history. The show kicked off with a vicious rant from Sandra following the tribe's decision to send Rupert home. In the middle of the fray, the other castaways discovered their food supply (the last bucket of Rupert's fish) had vanished. All fingers immediately pointed to Christa as the camp saboteur, despite her tearful protests. Later, Sandra admitted that in an attempt to hide the fish, she accidentally dumped the bucket and her screaming fit was a calculated smoke-and-mirrors tactic to shift suspicion onto the unwitting Christa. A pirate-themed reward challenge followed, in which the Survivors were reunited with one loved one each for a question-and-answer quiz game designed to reveal just how well they knew each other. The winner's reward was to have their loved one to spend the night at camp, while the remaining castaways were banished to a new deserted island. Enter: John's fictional dead grandmother. John's friend shared the news that his grandmother had died. John, all grief and tears, easily gained the sympathy of his fellow tribemates, and they agreed to toss the reward challenge his way, enabling his friend "Thunder D" to stay the night and share news of his grandmother. But as soon as John and Thunder D were alone, they broke out the high fives and evil chuckles at having duped the rest of the Survivors. John proved once again he'll do anything to beat the game. The surprises didn't stop there. Later, in a word-scramble immunity challenge, Burton was declared the initial winner, only to be stripped of his immunity moments later when host Jeff Probst discovered a misspelled word. 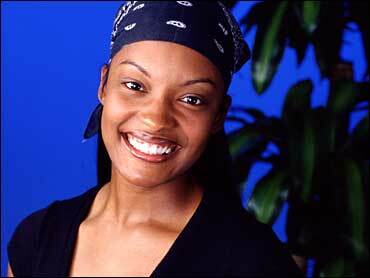 Final immunity went to Darrah, the first woman to win security at Tribal Council. Sandra convinced Tijuana that Burton and John had formed an alliance against the others, and she worked to convince the other Survivors to vote out Burton at Tribal Council. Unfortunately for Tijuana, John's slippery tactics won Christa and Sandra over, and when it came time to vote, they banded together and sent her home.